Historians often call the Roman Emperor Nero one of the most brutal rulers of antiquity, characterized by severity and despotism. But despite the cruel temperament, the ruler of the Roman Empire wrote poetry and plays, loved to sing and was passionate about art. He often played music at feasts, participated in musical contests and competitions of poets, wrote epic poems. 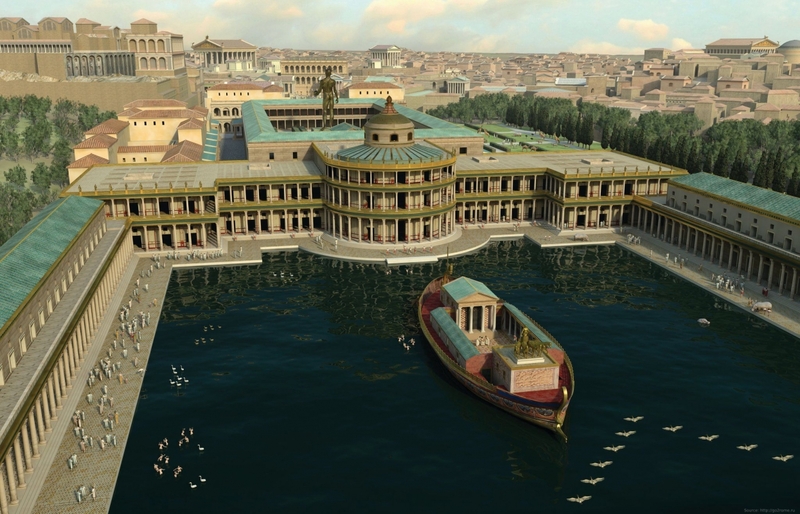 Nero was famous not only for his rigid political reforms, but also for the construction of a magnificent architectural complex — the "Golden House" (Domus Aurea in Latin). The Golden House is a palace and park complex in the center of Rome on the top of the Esquiline hillside, the construction of which dates to 64 AD. This majestic structure is considered to be the largest city residence of the monarch in Europe. 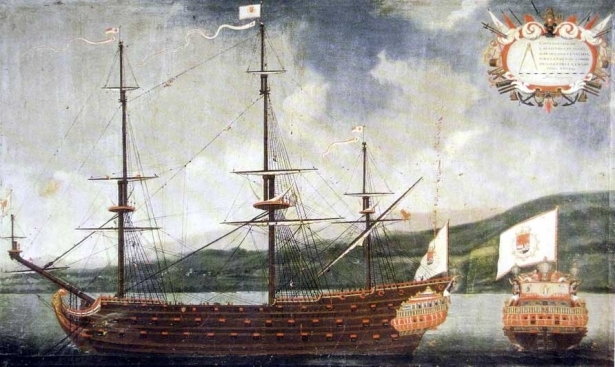 The plan of the building’s structure has not survived till our times, but modern-day historians believe that the area of the architectural constructions estimated from 40 to 120 hectares. The luxurious palace amazed with an abundance of gold and precious stones used in its decoration. 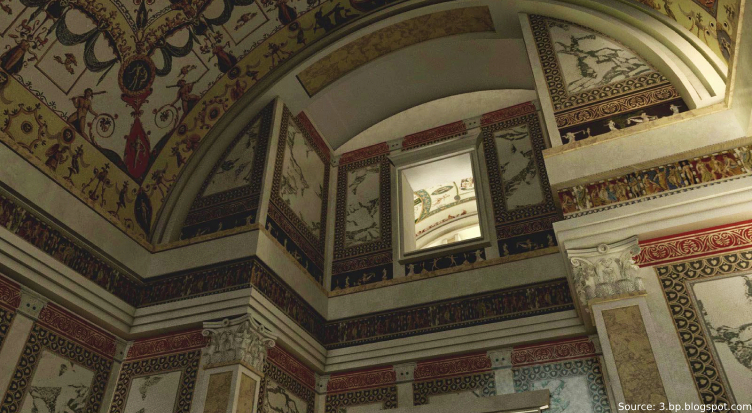 The ceilings of the building were painted with beautiful frescoes of the Renaissance artists and were generously gilded, the walls were decorated with mosaics and intricate ornaments. Numerous columns were made of white marble, brought from the Middle East. Ancient Roman architects succeeded in erecting broad arches, based on the pillars that are invisible to the eye, widening the space. 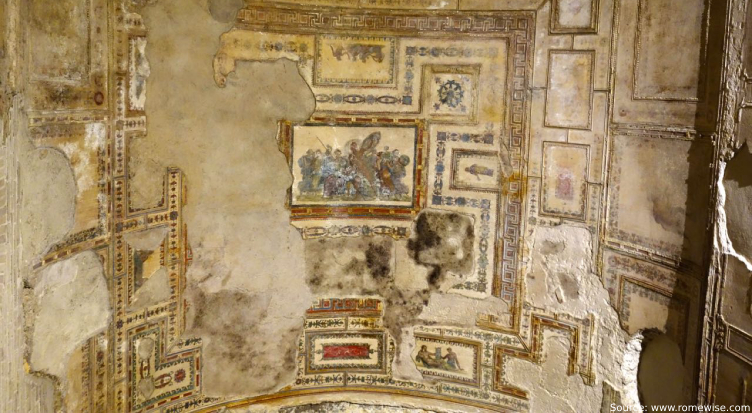 In the photo: ceiling frescoes of the Nero’s palace complex preserved to this day. The main round room of the palace had a dome-shaped inner corpus of gold, mainly because of it the Golden House got its name. The palace of Nero was surrounded by a huge park, from which a beautiful view of numerous vineyards and meadows could be seen. Nero died at the age of 30, his Golden House was not finished yet. Subsequent rulers repeatedly restored the palace to meet their needs, but eventually the construction was abandoned. After several decades, the palace had been greatly damaged during a city fire and partially destroyed. Its ruins buried in the ground. 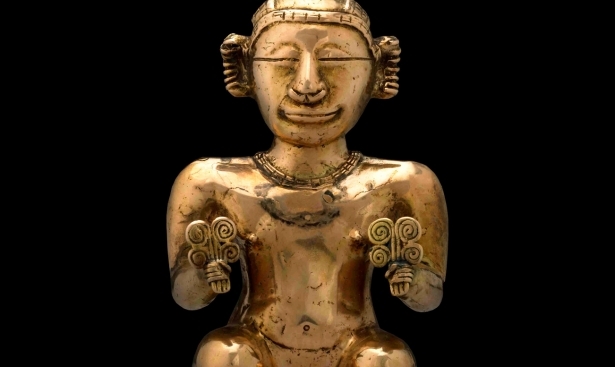 Later on, public buildings were built up on the former territory of the Golden House. The Colosseum, public pools, numerous private buildings were erected on the Esquiline hillside. The Golden House of Nero was forgotten for 1500 years. In the photo: some rooms of the palace, buried under a layer of soil, have been well preserved to this day. 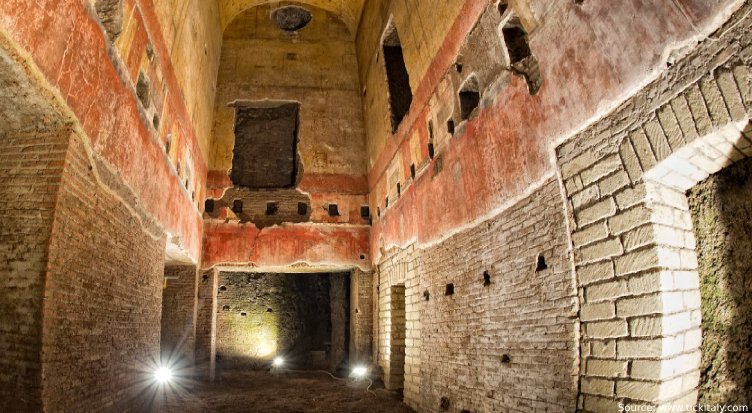 The underground courtyards of the Golden Palace of Nero were accidentally discovered by Roman diggers who worked on the top of Esquiline hillside in 1480. The ground collapsed underneath the workers, revealing the golden walls and beautiful frescoes of the majestic structure. 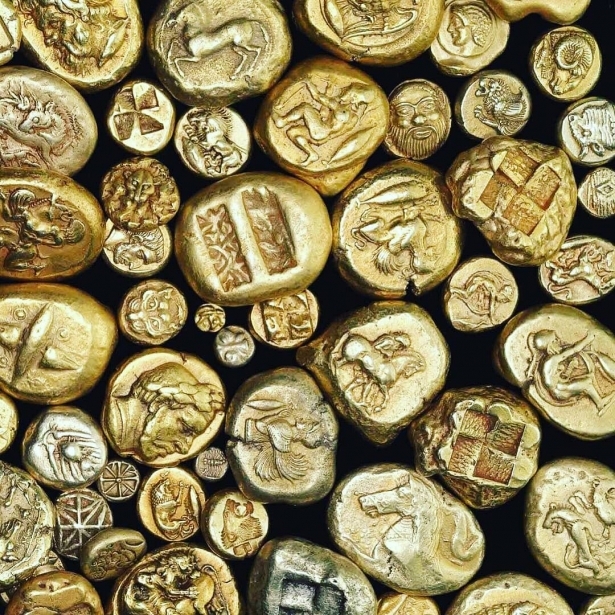 The news of the Golden House of Nero spread around the world. In 1999, after many years of painstaking restoration, the premises of the Nero Palace were opened for visitors' sightseeing tours. Over the past decades, the vaults of the Golden House have been repeatedly damaged by heavy rains. For security reasons, the palace constructions were closed several times for prolonged maintenance and then opened again. Luciano Marchetti, a Roman architect who specializes in restoration work at the Nero's Golden House, considers this architectural structure to be the grandest one ever built in Ancient Rome. "I'm fascinated by the wonderful construction! The amazing golden vault of the palace stood on the pillars that are invisible to the eye, as if it was floating in the air. It's a pity that time destroyed such a beauty. The Golden House of Nero is a true masterpiece of the ancient architecture! 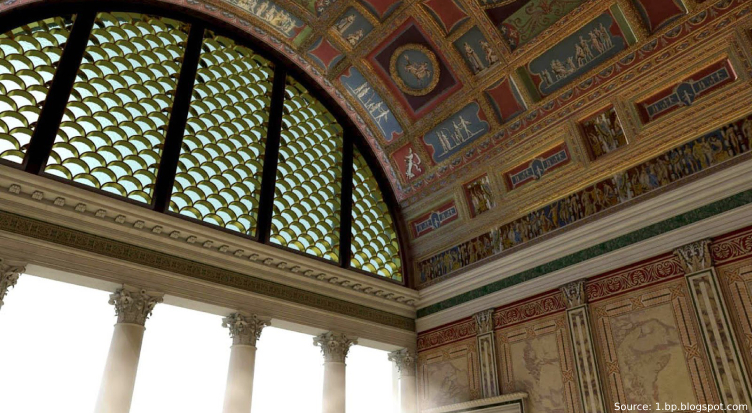 In the photos: with the help of computer graphics, the specialists recreated the interior decor of the Roman ruler’s palace complex. Today, the ruins of the Golden Palace of Nero can be seen in the Trajan park not far from the Colosseum.